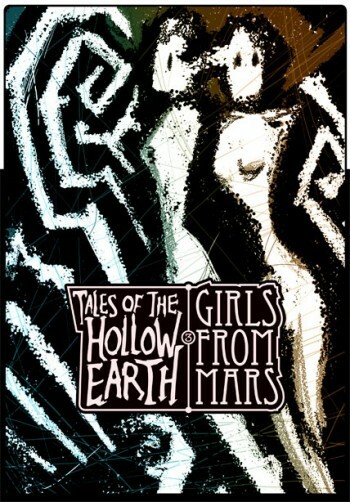 Tales of the Hollow Earth issue 3 was written and drawn in 2012. 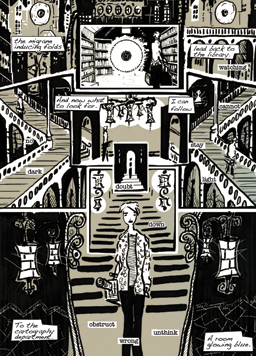 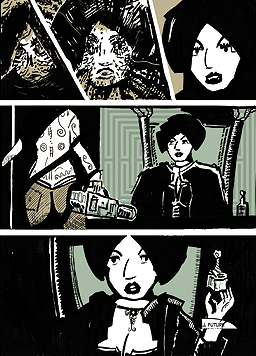 Returning to the backup strip of issue 1 (Lure), the history of Gudrun Blacks career in Novalucia’s unique seafood trade is discussed and Astrid Moriarty returns to the library to continue her investigations. 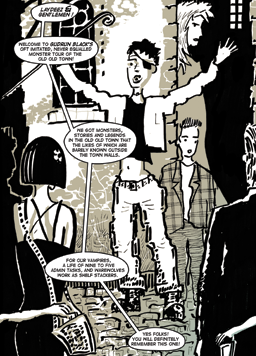 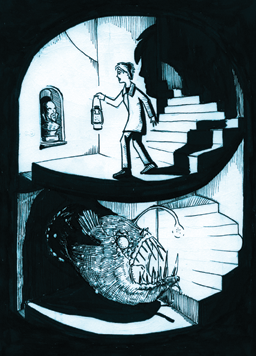 Issue 3 begins a story which will end in issue 4, due Autumn 2013, and features back cover artwork by Ian Mayor.